One meter deep snow in the Sahara! 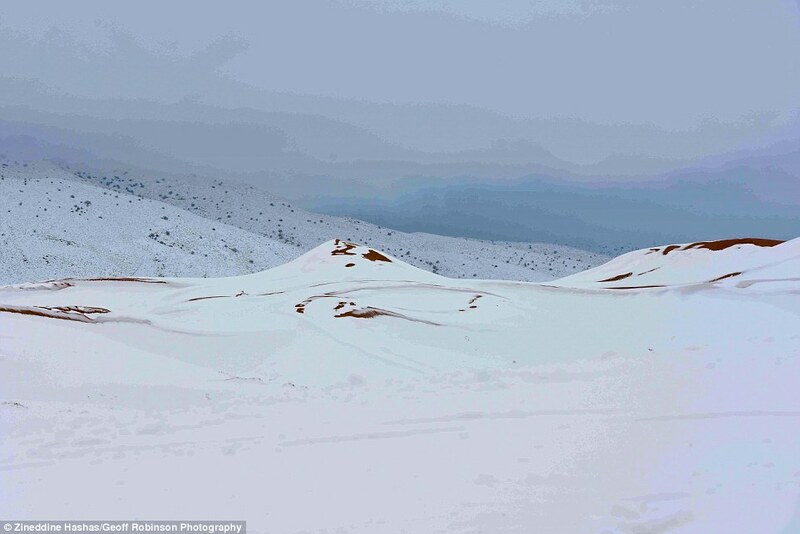 The Sahara Desert has recorded the biggest snowfall in living memory after a freak winter storm in Algeria. Incredible pictures show the desert town of Ain Sefra surrounded by snow which is at least a metre deep. The town saw a sprinkling of snow just before Christmas when a few flakes settled on the red sand dunes of the world’s hottest desert for the first time in 37 years. The town is surrounded by the Atlas Mountains but the area around Ain Sefra never gets snow. Read more.